The Distillery program represents one of the BHA’s most effective and impactful programs over its 25 year history. It is one of Pittsburgh’s top professional development experiences for creatives seeking to take their career to the next level. 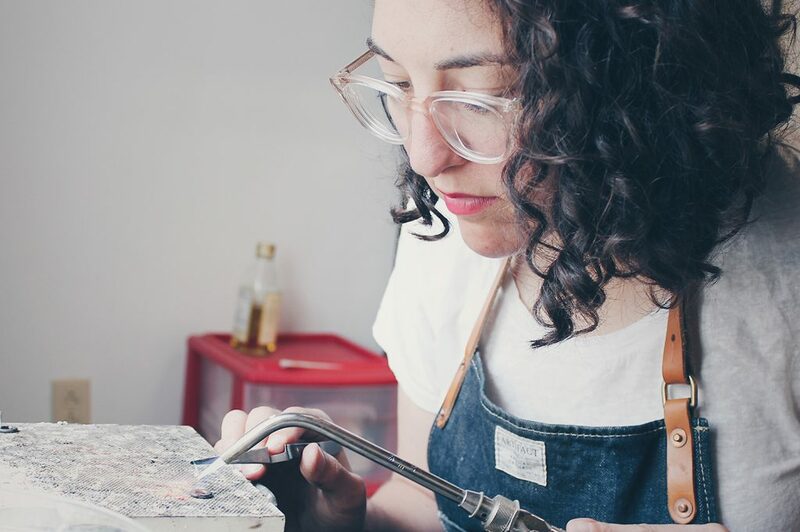 In Distillery studios, the BHA employs a diverse array of professional development opportunities for emerging artists, craftspeople, and makers. Distillery offers a multidimensional growth process, not just space. In addition, Distillery allocates expertise and resources to cultivate Pittsburgh’s most underrepresented and underserved creatives. Distillery participants are encouraged to engage with the surrounding communities on the Hill Top and along the Mon Valley. In addition, the Distillery participants enjoy access to the arts organizations, small businesses, and startup entrepreneurs. Distillery is an eleven-month studio residency designed to help 7 emerging artists transition into a professional artistic career by supporting a vigorous studio practice and providing professional development opportunities in a creative and affordable environment. This program focuses on inspiring participants to embrace new challenges in their work and connect to a supportive community. Artists will work throughout the year towards a group exhibition featured at the Brew House Gallery. Additionally, selected artists will be paired with a mentor and attend monthly professional development workshops with a variety of experts in the field. Guest speakers will give advice on essential skills for artists including developing an artist statement, community collaboration, writing proposals, marketing as an artist, and more. Selected artists will work collaboratively to complete proposals for a permanent installation at the Brew House that engages its residential community. One collaborative proposal will be accepted for permanent installation in the Brew House building. Artists working in any visual media, including time based or performance media, are eligible to apply. Students enrolled during the 2019-2020 school year are not eligible. Applicants must be based within the Pittsburgh region – housing is not provided. Applicants should be able to attend all scheduled sessions. Applications will be reviewed on quality of work, potential impact of the program on their studio practice and artistic career, and demonstrated interest and experience in collaborating with other artists and with community. Artists are required to attend monthly workshops that will be weekday evenings or weekends. Complete calendar of dates will be distributed at the beginning of the program. Artists will be expected to arrange meetings with their mentor every other month. The program requires a monthly fee of $100.00 to cover studio utility costs, which provides one of seven approximately 250 sq. ft. subsidized studios in the Distillery space. Distillery residents will be required to sign a lease for this space and submit a refundable security deposit of $100 upon move in. Rental includes studio space only, live space is not provided. Selected artist(s) will be eligible to apply for a stipend up to $2,000 plus additional material costs to support the creation of a permanent installation in the Brew House lofts. Applications must be received by midnight March 15, 2019. Incomplete applications will not be reviewed. Applications for the 2019-2020 Distillery season have closed. Please check back in early 2020 to apply for the next cohort. The seven residents for 2018-2019 will engage in a curriculum of workshops covering a range of topics including community engagement, marketing and promotion, arts education and administration, and cross-sectional collaboration. The 2018-2019 Distillery residency will culminate in a group exhibition in the BHA’s gallery from April through May 2019 where residents will be able to showcase their creative accomplishments.